]It wasn’t until I returned to Tucson as an adult did I realize that my hometown was one of three locations in America where nuclear missiles would have been launched from during the Cold War, aimed towards the former Soviet Union (had our President given the order to “push the red button”). Over winter break I went to the Titan Missile Museum where visitors are giving a fantastic tour of one of the silos (the only one not destroyed after the Cold War ended) and the control room. According to their website, the Titan II was capable of launching from its underground silo in 58 seconds and could deliver a nine megaton thermonuclear warhead to its target more than 6300 miles (10,000 km) away in less than thirty minutes. 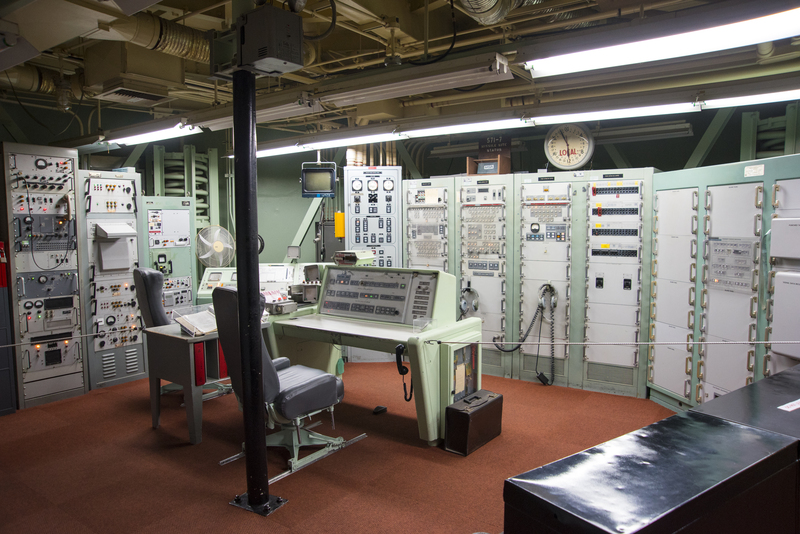 For more than two decades, 54 Titan II missile complexes across the United States stood “on alert” 24 hours a day, seven days a week, heightening the threat of nuclear war or preventing Armageddon, depending upon your point of view. Did you realize that during the Cold War America tested a total of 1032 nuclear weapons? The Soviet Union tested 715 and a number of other countries tested their own. To see a time-lapse of who tested nuclear weapons and where, please watch this video. You will be amazed! If you are at all interested in the Cold War and are driving through Tucson, AZ, I highly recommend taking a tour at the Titan Missile Museum. You will not be disappointed! The computer ribbon, punched with holes which actually serve as communication!